Wind operations in Colorado make up an industry that ranks with any in the country, and an industry that goes largely unnoticed by many of Colorado’s residents. The prairie winds that fuel the hundreds of wind towers are not as fierce as those at higher altitudes. In 2009, a wind generation plant was built in Logan County that was capable of generating enough electricity to power more than 52,000 homes. 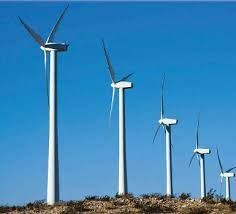 By 2012, the American Wind Energy Association ranked Colorado sixth in the nation as far as how much of its electricity (11.6%) came from wind. By April, 2014, Colorado had 1,530 wind turbines (10th in the country), has 28 wind projects online and more under construction. Right now, 13.8% of Colorado’s electricity is provided by the wind–enough to power 870,000 average Colorado homes. A short drive out of town will take you to a literal forest of wind towers–it’s worth the drive!